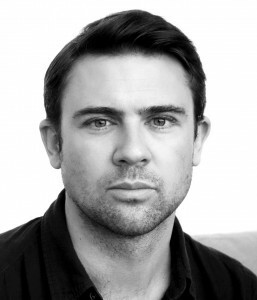 It is not surprising to discover that Owen Sheers, author of the newly-released I Saw A Man, is also a poet and a playwright. Evidence of those skills are apparent throughout this ingenious and captivating novel where three men are inextricably woven together by a series of tragic events, each culpable in their own way, each also a victim of those events. Michael Turner is a journalist who has become internationally famous particularly for a book written after years of intense observation of the subjects and immersion in their lives yet in which the writer is completely “eradicated”. He leaves his Welsh cottage and moves to London after the death of his journalist wife Caroline in a US drone attack while she is on assignment in Pakistan. On the day he moves into his new apartment he meets Josh Nelson, a Lehman Brothers banker who lives next door, and who seems to go out of his way to absorb him into his family, wife Samantha and two young daughters. Until tragedy strikes and through his guilt and pain Josh realizes that just as he has not been the perfect husband and father, Michael may not be the benign friend he had thought. And on the other side of the world USAF Major Daniel McCullen who gave up his frontline combat pilot life for the physical security of flying drones from a military base in the desert outside Las Vegas. But he is haunted when an attack on a known target by the drone he is piloting also kills a journalist and her crew. His job and his family life begin to disintegrate. Whilst exonerated from any charges of wrong-doing he is compelled to contact her husband to explain what occurred, with an unexpected result. Sheers (right) is masterful at creating the micro worlds in which his protagonists live then extending the overlapping tendrils that join them. His sparse prose, complemented by the occasional flourish of lyricism, is a welcome pleasure for the reader. Although I Saw A Man is not a whodunit there are some carefully crafted shock moments that cleverly turn the story and surprise. This is a story that teases out the tiny details that are both the ordinary and the extraordinary of relationships. But also tackles the bigger, fundamental questions, like what is viewed by many as the dehumanization of killing through the use of drones in warfare. It’s a very classy novel that has sent me scrabbling to find his earlier work. 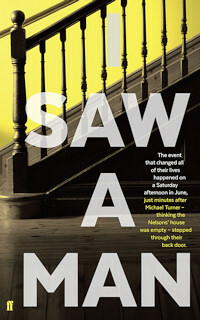 I Saw A Man by Owen Sheers is published by Faber & Faber.